All Wire Electric, Inc. was built upon on the three keystones of integrity, honesty, and value. All Wire strives to exceed its customer needs on every job. Founded in early 2004, All Wire has grown from a one-man shop to a 30 employee corporation. 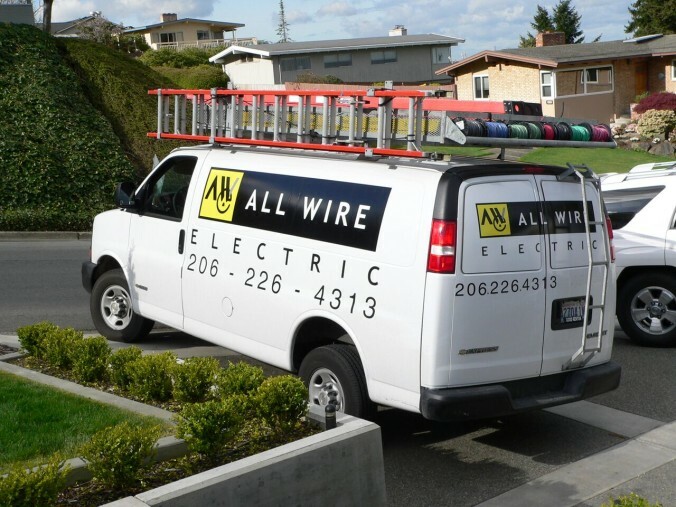 All Wire Electric is a full-service electrical contractor that does residential and commercial projects, along with a specialization in fire alarm systems. On the commercial side, All Wire’s projects range from government projects such as Historic Seattle’s Washington Hall, to multi-million dollar schools such as Seattle World School at TT Minor, to high end retailers including Niketown, Louis Vuitton, and Prada at the Bravern in downtown Bellevue. The residential side ranges from service calls to replace breakers in single family homes, to full electrical renovations of 100 plus unit apartment complexes. All Wire is also a preferred vendor to many property management companies including Greystar and Pinnacle. All Wire Electric brings excellence to every job site, and its friendly office staff will ensure projects are completed to satisfaction. The company is proud to say that it offers a great value at a fair price, and will guarantee* its work for up to 1 year after completion.